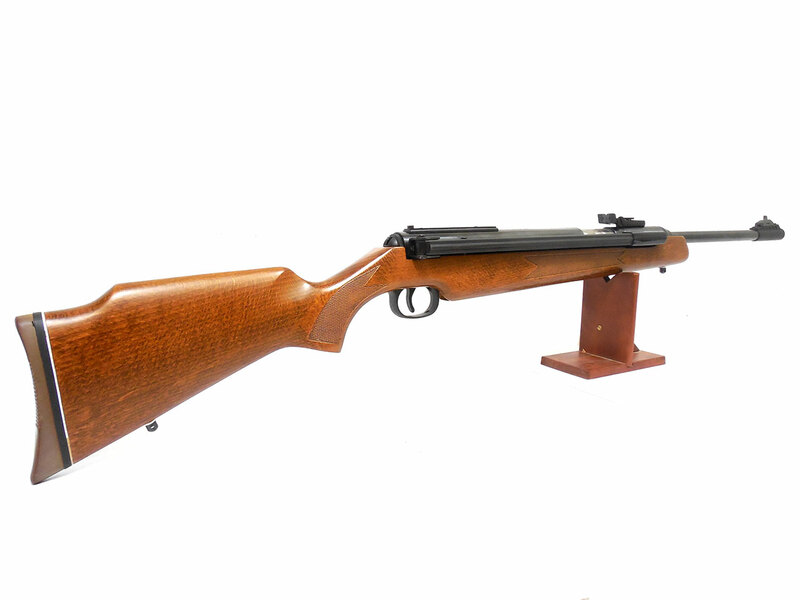 This RWS Model 52 is a .177 caliber, side lever cocking spring piston air rifle with an upgraded checkered Monte Carlo hardwood stock. 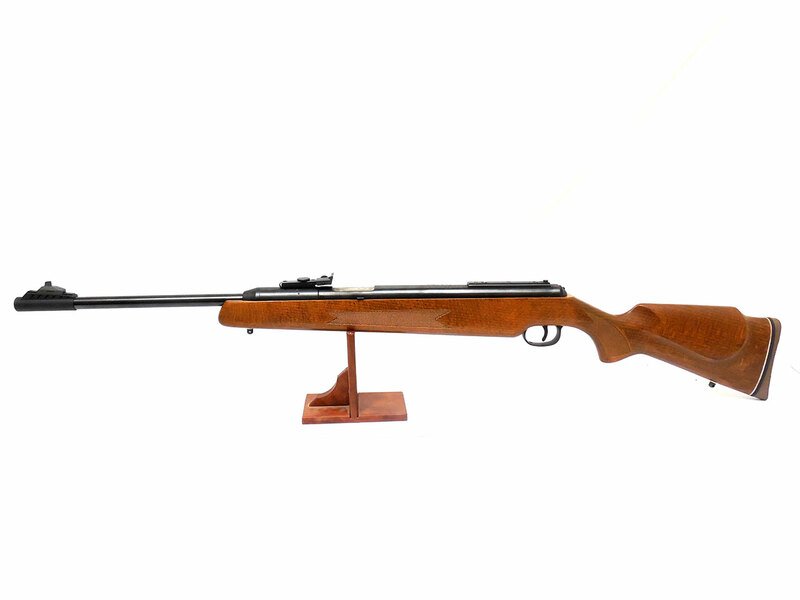 It features micro adjustable rear sights, adjustable front sights, 11mm dovetail scope rails for mounting a scope, and auto safety. These are very accurate air rifles. 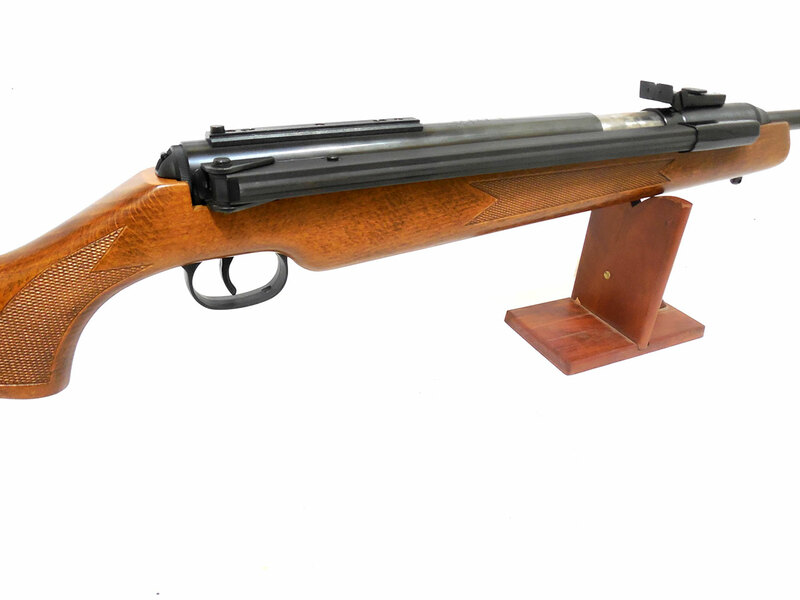 This one is in excellent condition with the stock and barrel both retaining about 95% of the original finish. Velocity was tested at around 884 fps using lead pellets. 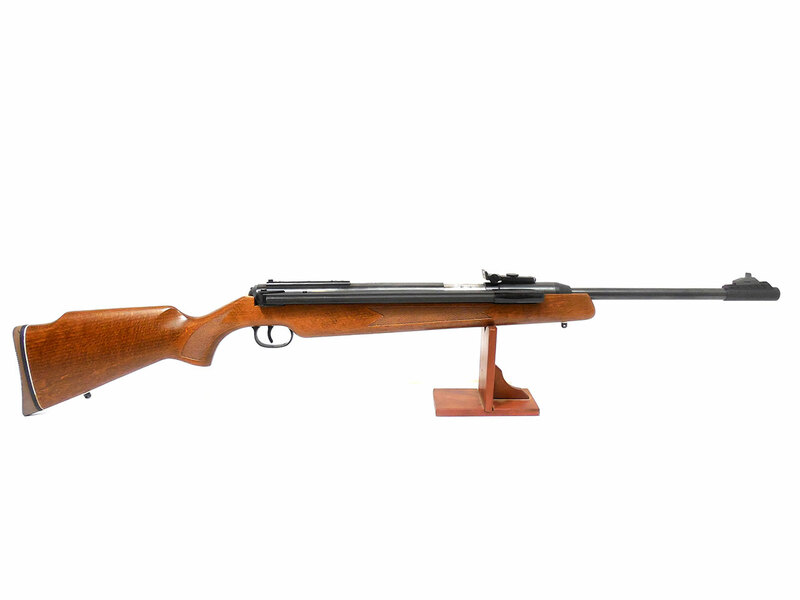 This is a beautiful rifle, and shoots good!